On Saturday, May 11 a revamped, state-of-the-art International Spy Museum will open its doors. What compelled the Spy Museum to relocate from D.C.'s bustling Penn Quarter neighborhood to L'Enfant Plaza? Maybe because L’Enfant Plaza has been described as the city's Next Big Thing. It's where the new memorial to President Dwight D. Eisenhower is being built. But can L'Enfant Plaza overcome its urban renewal-pedestrian-unfriendly design? What can be admired about its bewildering mass of ramps, pocket parks, open spaces, and 1960s office buildings? The National Capital Planning Commission sees a golden opportunity. It has proposed refashioning and rebranding the entire precinct as the Southwest EcoDistrict. 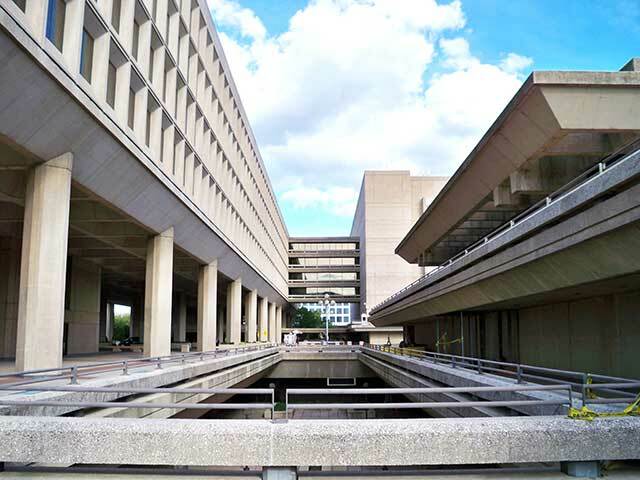 Walk through a little understood yet fascinating section of the city, a place where federal government agencies, Mid Century modern architecture, a public transportation hub, and an historic building or two quietly stand steps away from Washington’s National Mall. The walk will conclude at the International Spy Museum. Embarks from outside L’Enfant Plaza Metro station’s Maryland Avenue, SW exit (corner of Maryland Avenue and 7th Street, SW).